What are Broken links? Just like it sounds, they are links that are not functioning the way they are supposed to work. Broken links in a website can be a big issue. Not only do they cause frustration for users trying to use the links, they also cause issues with search engines. One item that plays into search engine results is working links to related information. Obviously if the link to that related information is broken, it will detract from your search results and page ranking. 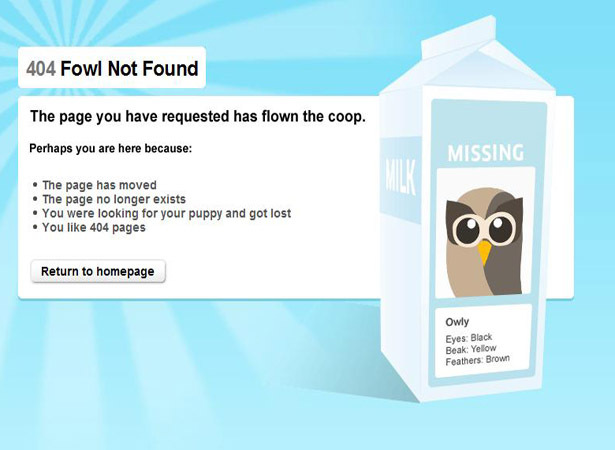 When you click on a broken link you will usually get an error page, similar to these 404 Page not found pages. Why would links be broken? How do we know if we have Broken links? Finding broken links can be a tedious and never-ending chore. In the past, it often involved manually reviewing pages in your site and testing the links one by one. However, there is a WordPress plugin called Broken Link Checker that automates this chore by continually crawling through your website and checking all of your links to see if they are functional. After crawling the site, the plug-in sends an email to the site administrator detailing any broken links it has found. It also adds a strikethrough line over the text of the broken link on the web page, providing a visual clue for users and content authors that a link is bad when looking at the site itself. I’ve intentionally created a bad link so I could show the reports that are generated for you. The first one is an email that will be sent to the site administrator. The second image shows the broken links in the Dashboard area of your site. To get to the Broken Link area in WordPress go to the Dashboard and open the Settings area. Any broken links can be fixed right in the Broken Link area of your site Dashboard. Hover over the link URL in the left hand column and you will see the choices: Edit, Unlink or Not Broken. If the link is wrong and you have a new URL, you can Edit and change the URL. If you don’t know what the link should be or the URL you have is bad, you can just Unlink and the link will disappear. If you know the link URL is a good address then you can set to Not Broken. Sometimes when the system checks, there might be a quick hiccup and the address didn’t work as quickly as would be expected. If you believe the link is correct, check the box in front of the link, and choose recheck from Bulk actions (drop down above the list) hit Apply and try to see if the address will work. If you are not sure, you can click on the source and it will take you to the page so you can do some investigation. The Link Text column displays the actual text displayed on the web page that the URL is associated with. This can help to provide you with a contextual clue of what your broken link was supposed to connect to. Some of the broken links may not have any text associated with them. Many times these links are to images that were not linked correctly when inserting them into the page. Images placed on pages usually are not the original image, but a resized version of that image. The resized image should be linked to the original image (the .jpg or .png) so upon clicking the smaller version image the viewer will see the full size image (or sized to 80% of the browser window) or images can be linked to other pages or sites. If this is the case, you may have to look in the Media library for the image file URL or verify the link if the image is a hyperlink. The Source column lists the WordPress page or image that contains the broken link. If you need to go to the page to read the larger context of where the link was in relation to other text in order to determine it is needs to be repaired or removed, click on the name of the page to go directly to the page.